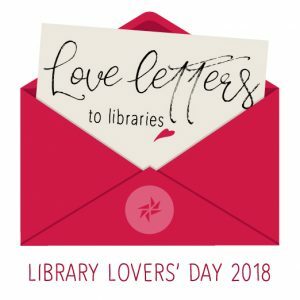 Join us as we celebrate our libraries for Library Lovers’ Day on Wednesday 14 February. Complete our ‘Library Love Letter’ entry form on 14 February and be in the draw to win a ‘Love your Library’ hamper. Be part of the technology revolution and join one of our Tech Savvy Seniors sessions with your laptop, tablet or smartphone. The Tech Savvy Seniors Queensland program has been funded by Telstra and the Queensland Government through State Library of Queensland and Department of Communities. February is about to get social. Discover and demystify social media with communicating via Facebook, Twitter, Instant Messaging and Skype. Learn about other platforms such as YouTube, Flickr and Google+. First 5 Forever storytime is an interactive program for preschool children and babies featuring songs, rhymes, stories and craft. This is a free event conducted in a relaxed atmosphere with a focus on fun for all preschool children, babies and their caregivers. Sessions are held weekly at all libraries, join us at Tin Can Bay Library on Thursdays, 9.30am-10.30am. Art classes at the library are recommencing in February so join us every 2nd and 4th Thursday of the month at 10am for art workshops by Jenny! Jenny will cover various types of art – from sketching with charcoals to painting with water colours and pastels – morning tea provided. Cool down with a movie in the pool!